Awww! So sweet! I think I'm gonna have to get jas a tree now! I was still on the fense. That is an absolutely precious photo! Aww, now I want to put our tree up. Awww she looks like she is being so gentle! That looks like it could be a Hallmark postcard! 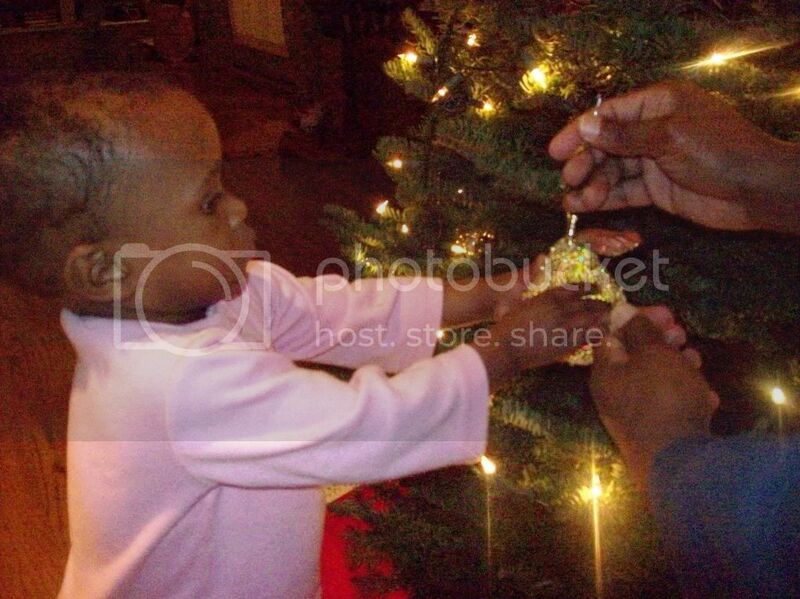 Dang, just realized we got no pics putting up the tree with the kiddies! !